The latest trailer for Quantic Dream’s Beyond: Two Souls has been released, with the lead actors Ellen Page and Willem Dafoe talking about their relationships with their characters within the game. The two actors talk about the journeys of their characters; Jodie Holmes and Nathan Dawkins, respectively, and their relationship with each other. 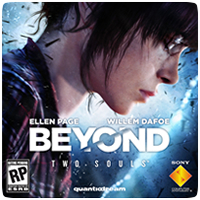 Beyond: Two Souls will be available exclusively on the PS3 on October 9th in Europe and October 8th in North America.